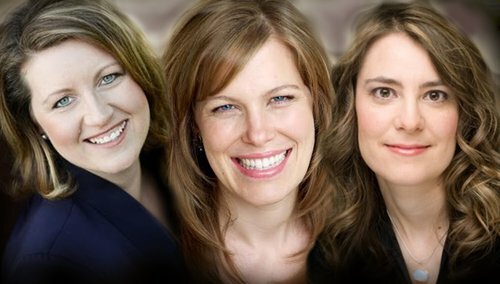 A Canadian collective of sopranos and piano, ‘Women on the Verge’, present three UK premieres in an eclectic programme of living Canadian composers. ‘Women on the Verge’ was formed in 2016 by American soprano Emily Martin, Canadian soprano Elizabeth McDonald and Canadian pianist Kathryn Tremills. The trio is connected by the performers’ mutual desire to explore the common thread of women’s lives through the millennia, including their strengths, struggles, and collective experiences. These concerts are a forum to share information and experiences, to explore our knowledge and understanding of the music and text, and provide the audience an opportunity to learn about and reflect on situations and issues that have confronted women for a lifetime. They are committed to commissioning new music written by women that reflect these stories from the contemporary world around us. ‘Women on the Verge’ is committed to commissioning new music written by women that reflect the stories of women from the contemporary world around us. The 2018 commissioned composer, supported by the Canada Council, is the Canadian Emilie LeBel, who has set found texts to a theme of cultural displacement based on the current worldwide refugee crisis.